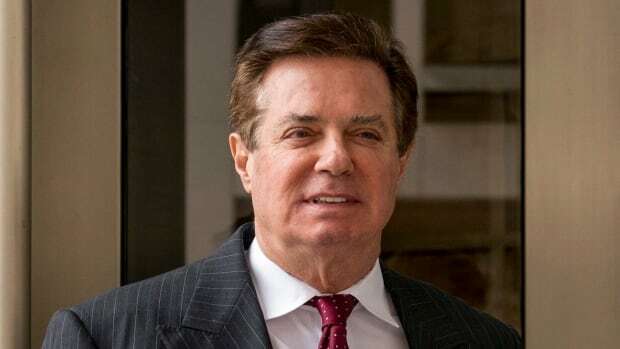 A federal U.S. judge has sentenced former Trump campaign chair Paul Manafort to more than 3½ additional years in prison, on top of the roughly four-year sentence he received in a separate case in Virginia last week. His second sentence in as many weeks follows a scathing assessment by the judge and a prosecutor of Manafort’s crimes. During the sentencing hearing Wednesday, U.S. District Judge Amy Berman Jackson said she would not be swayed by last Thursday’s sentence by U.S. District Judge T.S. Ellis. “What’s happening today is not and cannot be a review or a revision of a sentence that was imposed by another court,” Berman Jackson said. The judge sentenced Manafort to 60 months on the first count, half of which would run concurrently with the Virginia case, and 13 months on the second count, to be served consecutively — adding 43 months on top of the 47 months he received in the Virginia case. That’s a total of 7.5 years in prison, minus credit for nine months already served. The sentencing hearings for Manafort mark a bookend of sorts for Mueller’s investigation as it inches toward a conclusion. Manafort and business associate Rick Gates were among the first of 34 people charged, and though the charges against Manafort weren’t tied to his work on the Trump campaign, his foreign entanglements have made him a subject of intrigue to prosecutors assessing whether the campaign colluded with Russia to sway the outcome of the 2016 election. On Tuesday night, Mueller’s prosecutors updated a judge on the status of co-operation provided by one defendant, former national security adviser Michael Flynn, and are expected to do the same later in the week for Gates.